I read this in one sitting. Magical, funny, heart-rending, terrifying - and with plenty more adventures still to come, I’m on tenterhooks for the next book. Fionn, his grandfather and father broke my heart and put it back together again. A massive dollop of magic, mixed with a charming and quick witted main character. Throw in an incredible grandfather, an island that has its own history and power and a struggle with grief. You get this. A book with clout. There better be a second one. Magical mix of myth and adventure. Beautifully written with great characters. There is humour, sad bits and bits to grip you. First in a series so look forward to more. 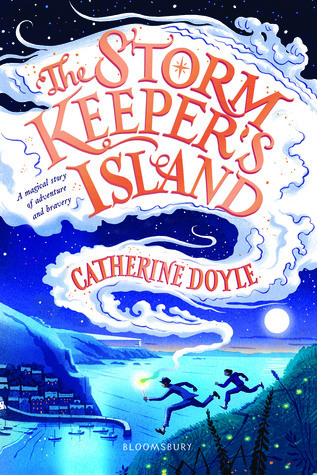 I really enjoyed this story- a great adventure& an original idea 😊 I liked the main character, Fionn & how his relationship with his Grandfather and the island grew as the book went on. Look forward to the next one!Read in Italy! Absolute perfection, loved every minute! Magic, mythology and family. Full review to come. This is an excellent read. It’s gripping, compelling and wonderfully written - I couldn’t put it down! I absolutely loved this book. It's full of adventure, mystery and magic. A true battle of good and evil. A great start to a new series. I can't wait for the next one. Totally magical - a brilliant read. Hints of Susan Cooper's The Dark is Rising series as Fionn comes to terms with the magic and history of Arranmore island where his grandfather lives. Highly recommended.